Prize: 2. 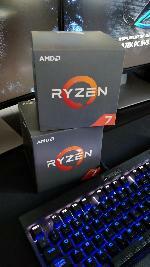 The competition prizes are 2x AMD Ryzen™ 7 2700X CPU's. Statistics: This contest was opened by 108 and entered by 16 ContestChest.com members. 15% of those who opened the contest, entered it.